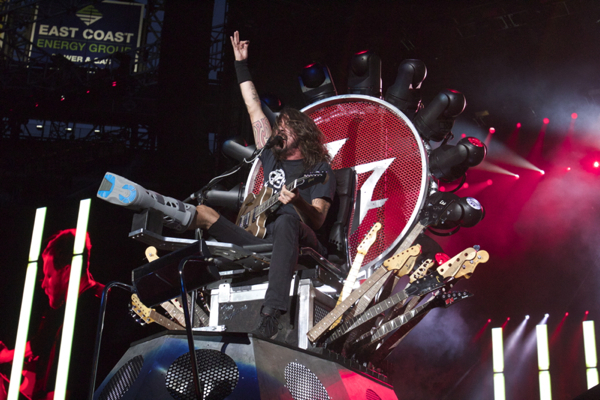 Leave it to longstanding rockers Foo Fighters to turn a bad situation such as their frontman Dave Grohl breaking his leg before a massive tour, only to return with a Game Of Thrones inspired throne (with guitar necks instead of swords), able to take him from the back of the stage to the front of the crowd while he’s sitting down, all with the help of modern technology. 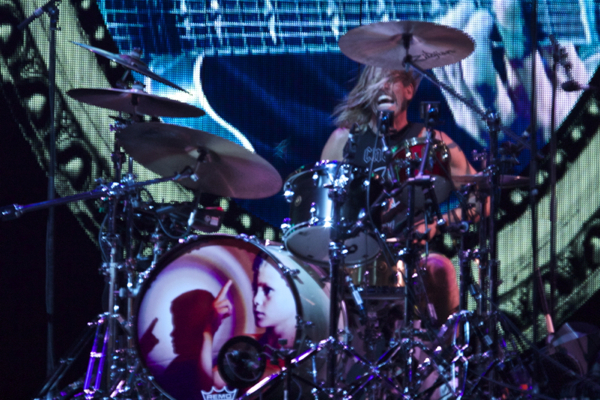 Then again, the Foo Fighters just always seem to find a way to succeed, don’t they? 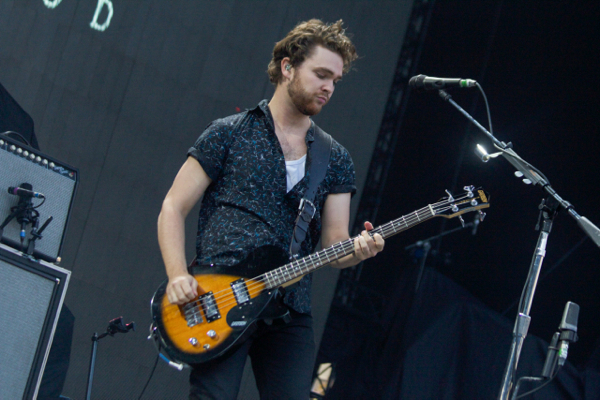 Not many modern bands are capable of truly selling out a major stadium. 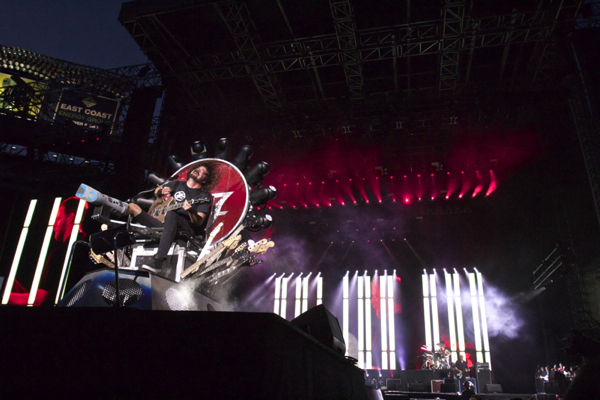 Don’t tell that to the Foo Fighters, who sold out not one, but two nights at Citi Field, just one of the many stadiums that they rocked this summer for their Sonic Highways tour. 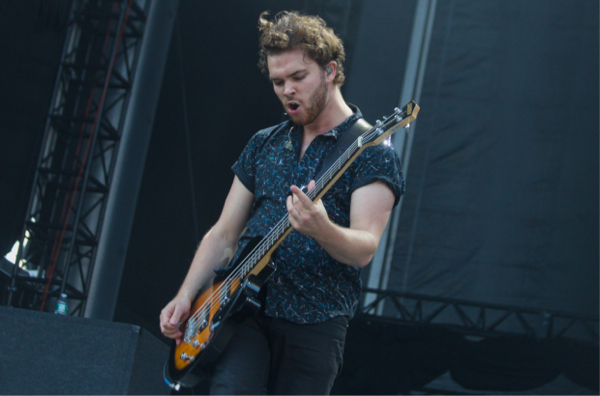 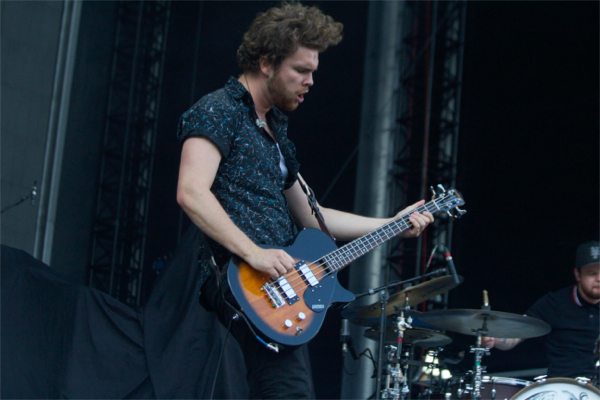 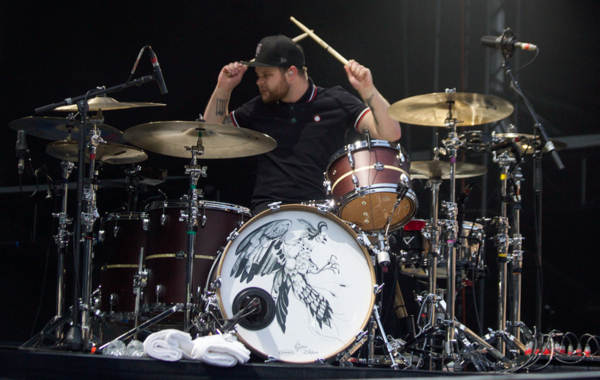 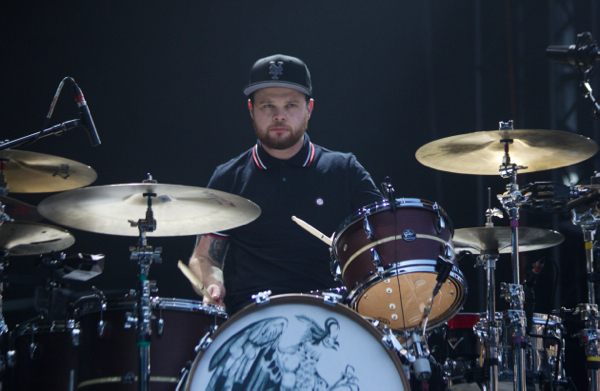 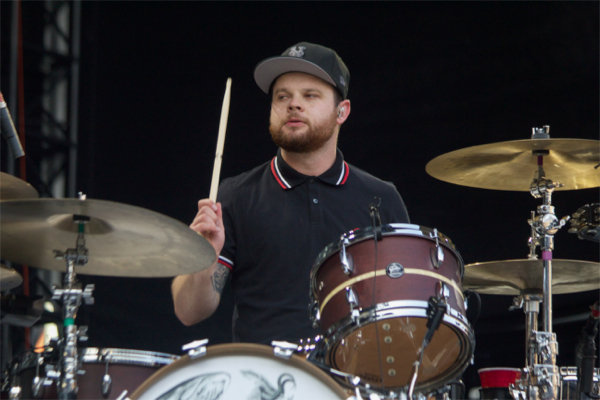 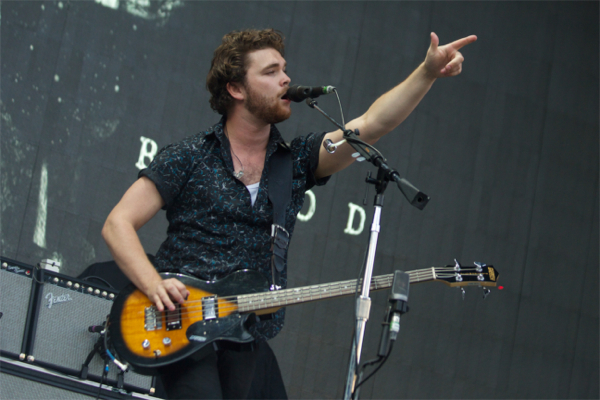 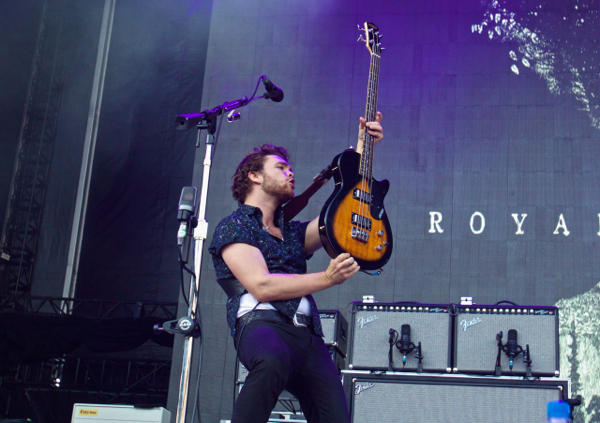 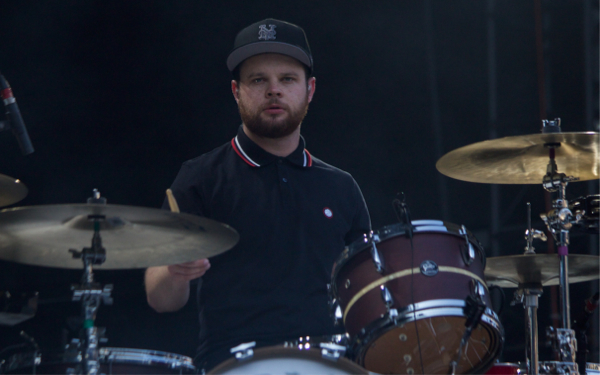 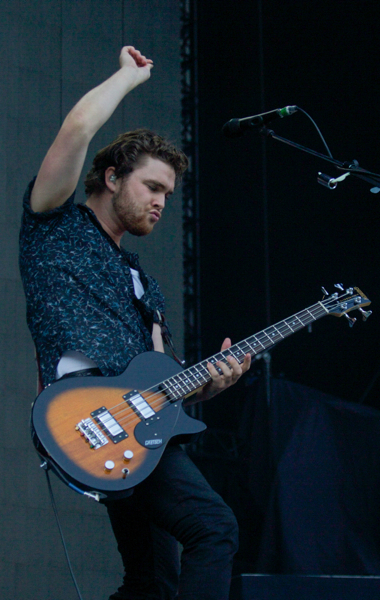 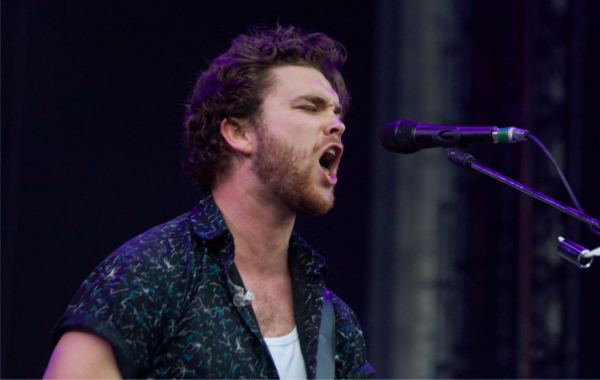 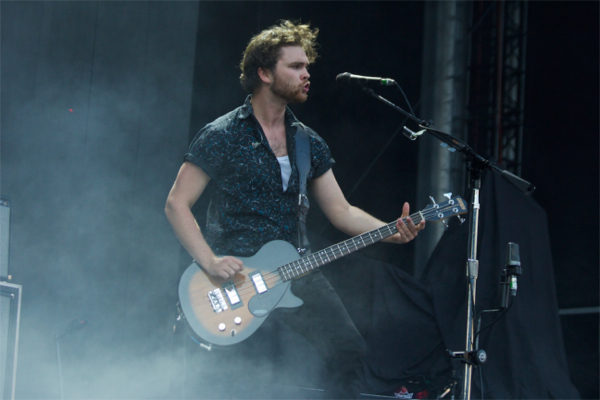 They brought along rising British duo Royal Blood to open up the pair of shows at Citi Field. 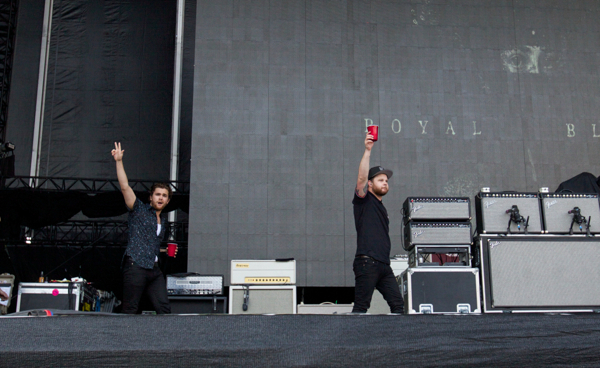 This was my third time seeing Royal Blood, and without question the biggest stage yet (although Governors Ball was big too). 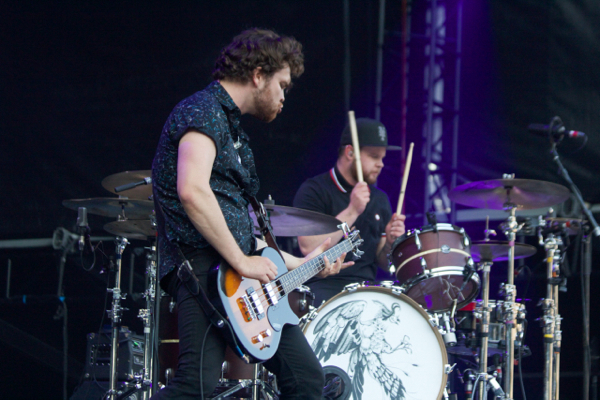 While seeing them play a baseball stadium is pretty surreal considering I saw them at The Marlin Room at Webster Hall about a year ago, the duo have had no problem filling big spaces in the UK, so it’s only a matter of time before we catch up here in the states. 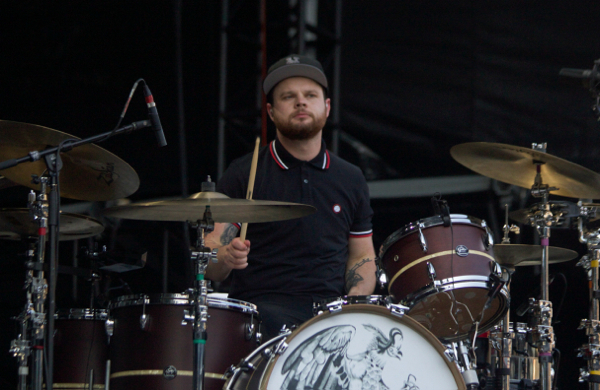 The duo of Mike Kerr and Ben Thatcher not only had all the confidence in the world as they shared their blistering garage inspired rock and roll to the thousands of fans, but they looked completely at ease while doing so. 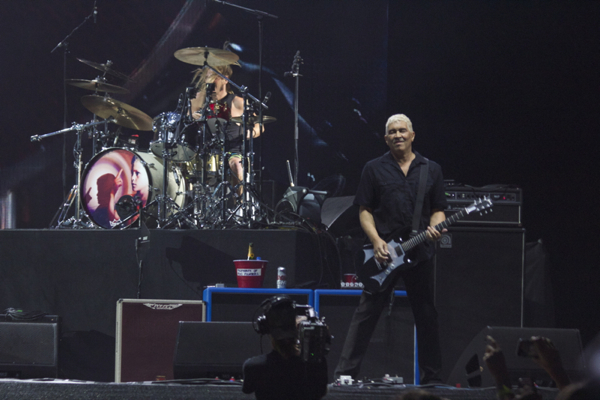 The last time I saw Foo Fighters was late last year when they surprised New York by playing a unfairly tiny show at Irving Plaza in celebration of the New York episode of their Sonic Highways series which aired on HBO. 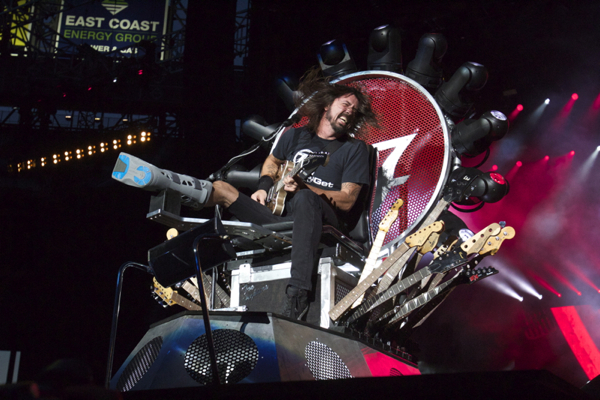 Although the group featured an injured Grohl, they somehow found a way to match the intensity of Irving Plaza, if not match it, even with Grohl stuck to his throne. 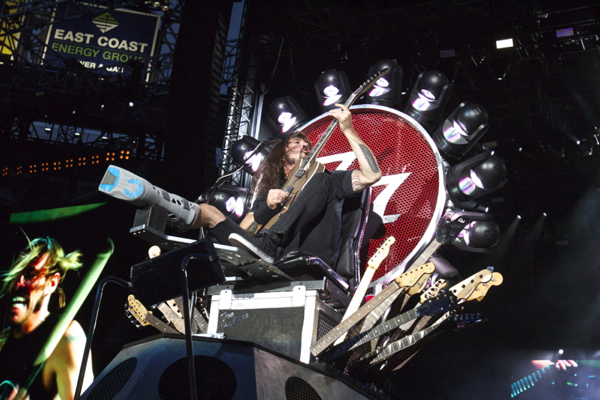 It also helped that they completely embraced their situation, even calling the tour the “Broken Leg Tour” and selling humorous t-shirts about Grohl’s injury. 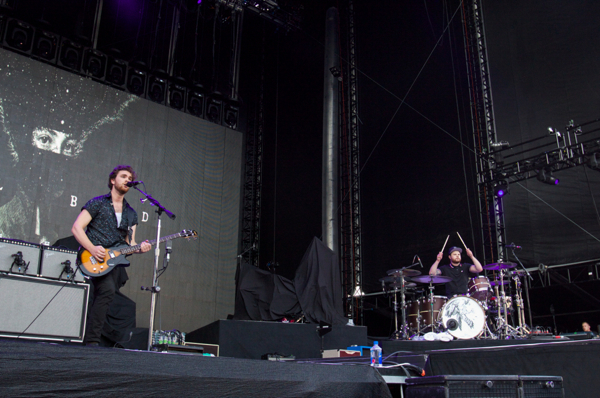 They opened the show with fan favorite “Everlong,” which usually ended their sets in the past. 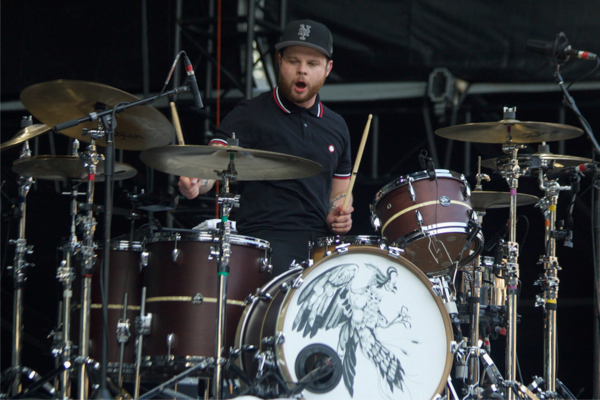 It was a welcome change, as it became an unfair beast to open with, alongside equally beloved “Monkey Wrench,” and “Learn To Fly.” The group dug deep and played a hearty 30-song set that nearly spanned an hour. 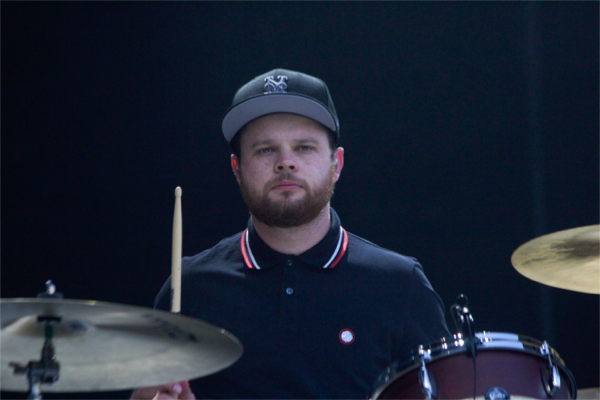 They delivered now staple cover of Queen & David Bowie’s “Under Pressure” as well as Bad Brains’ “How Low Can A Punk Get” and “The Regulator,” which was made that much more special by the appearance of Bad Brains’ very own Darry Jennifer and Dr. Know. 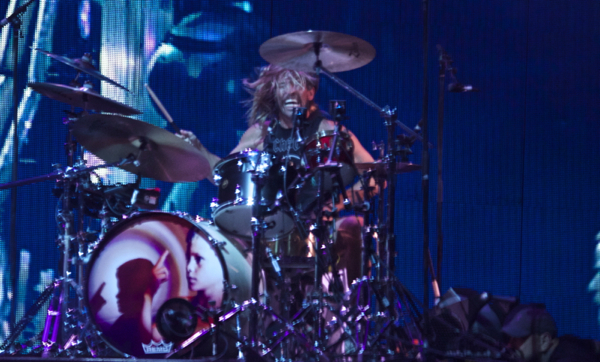 There’s no question that Foo Fighters give their all live, one of the few modern stadium rock bands who have true staying power, the sort of rock stars we just don’t see anymore these days. 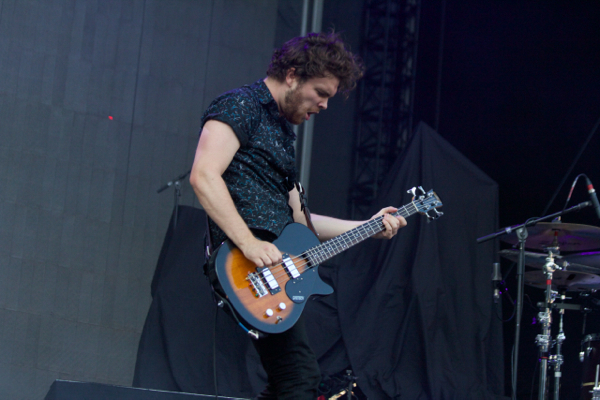 Their performance at Citi Field has set the bar for what a stadium rock show can be, and what they will be someday.